Stabilizers are electronic devices responsible for correcting the voltage of the electrical power supply to provide a stable and secure power supply to equipment’s, allowing for a stable voltage and protecting the equipment from most of the problems of the mains. The main function of a stabilizer is to make the output voltage that feeds the equipment’s connected to it as much as possible equivalent to the ideal electrical power supply. The product is produced with the help of high-quality raw material and updated technology under the precise management of the quality controllers. The product is manufactured on the basis of the expectations of the market and in various technical specifications at lower prices. Optimizing latest technology, we manufacture and export a prevision designed range of Relay Type Stabilizer. 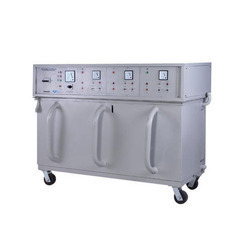 This Relay Type Voltage Stabilizer is widely used in homes, shops, offices and many more places. Besides, we rigorously test these products for quality before shipping. 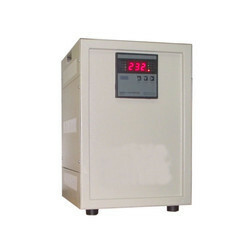 Relay type of voltage stabilizers usually change the output voltage accuracy. It is used for low rating appliances in homes, offices and industries. Many electrical equipment & machines are suffering with several limitations such as unexpected performance, less durability, interruption to power path etc. We are enlisted amongst the reckoned names in the industry, offering the wide range of Oil Cooled Servo Stabilizer. These Stabilizers automatically handles voltage variations and helps in providing a stable voltage to the equipments and hence avoiding damage to them and increasing their life and helping you achieve production efficiency. To meet diverse requirements of our valued clients, we are engaged in offering an excellent range of Servo Voltage Stabilizers. 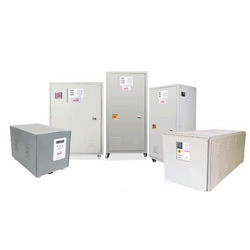 Widely use in various electronic industries for stabling fluctuation of voltage, the offered stabilizers are designed under the supervision of competent professionals utilizing superior quality material and advance technology. Our company is highly esteemed in providing Oil Cooled Servo Stabilizer. Advanced technology and high tech machines are brought into use for manufacturing the offered range of transformers. We have come up with an amazing Oil Cooled Servo Voltage Stabilizer. our responsibility to our clientele has made us used the latest forms of technology to design this incredible piece of equipment, which will enable you to operate a number of machines at one go. We are specialized in manufacturing and supplying high-qualityOil Cooled Servo Controlled Voltage Stabilizers to give optimum voltage supply solutions to all types of industrial, official and residential needs. These are manufactured using raw materials that are carefully sourced from leading vendors of the market. These are used to prevent electrical appliances from getting damaged during power and voltage fluctuations. These Voltage Stabilizers find extensive usage in controlling voltage fluctuations using solid state electronic circuitry. 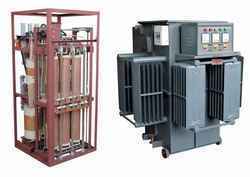 We offer exclusive range of Single Phase Oil Cooled Automatic Servo Controlled Voltage Stabilizer, which are precisely designed as per the requirement of the user. They are developed using high grade of material and advanced technology. These stabilizers are used to protect any critical equipment, which are effected by the fluctuation in the input supply and those equipment’s do not operate when they are not used at the specified voltage. Offered voltage regulator has high efficiency & low power consumption. This voltage regulator is designed using high quality material in accordance with industry norms. Moreover, the offered range is considered as a micro controller based automatic voltage stabilizers with digital display. This AVR Stabilizer is extensively demanded to install at hotels, homes and various other places. This product is examined in terms of quality in order to provide a defect free range. These linear servo voltage stabilizers for educational institutes are known among our patrons for its overload protection, robust construction and less maintenance. The offered linear servo voltage stabilizers are used to maintain constant voltage level in various educational institutes. Our offered Linear Servo Voltage Stabilizer is widely accepted among patrons for our consistency and cost-effectiveness. These services are provided to all patrons from commercial and domestic industry. As an eminent enterprise, we are manufacturing highly efficient Three Phase Automatic Voltage Controller. Our offered voltage controller is manufactured by our experienced professionals using premium quality components and advanced technology in compliance with industry quality norms. This stabilizer offers high regenerative and starting current frequency for various machines. With sharp & instant tripping correction circuit, efficient and safe operation of the equipment can be assured. With the assistance of our experienced professionals, we are immersed in offering an impeccable collection of Linear Type Stabilizer. We are the leading supplier of 12KVA TO 250KVA Servo Controlled Voltage Stabilizer made available to our clients at competitive prices. We are providing 12KVA TO 250KVA Servo Controlled Voltage Stabilizer. We are the leading supplier of 12KVA TO 200KVA Servo Controlled Voltage Stabilizer made available to our clients at competitive prices. We are providing 12KVA TO 200KVA Servo Controlled Voltage Stabilizer. We are the leading supplier of 12KVA TO 150KVA Servo Controlled Voltage Stabilizer made available to our clients at competitive prices. We are providing 12KVA TO 150KVA Servo Controlled Voltage Stabilizer. We are the leading supplier of 3KVA TO 10KVA Servo Controlled Voltage Stabilizer made available to our clients at competitive prices. 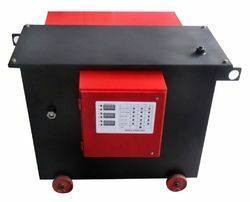 We are providing 3KVA TO 10KVA Servo Controlled Voltage Stabilizer. We are the leading supplier of 500VA Servo Controlled Voltage Stabilizer made available to our clients at competitive prices. 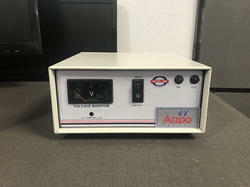 We are providing 500VA Servo Controlled Voltage Stabilizer.